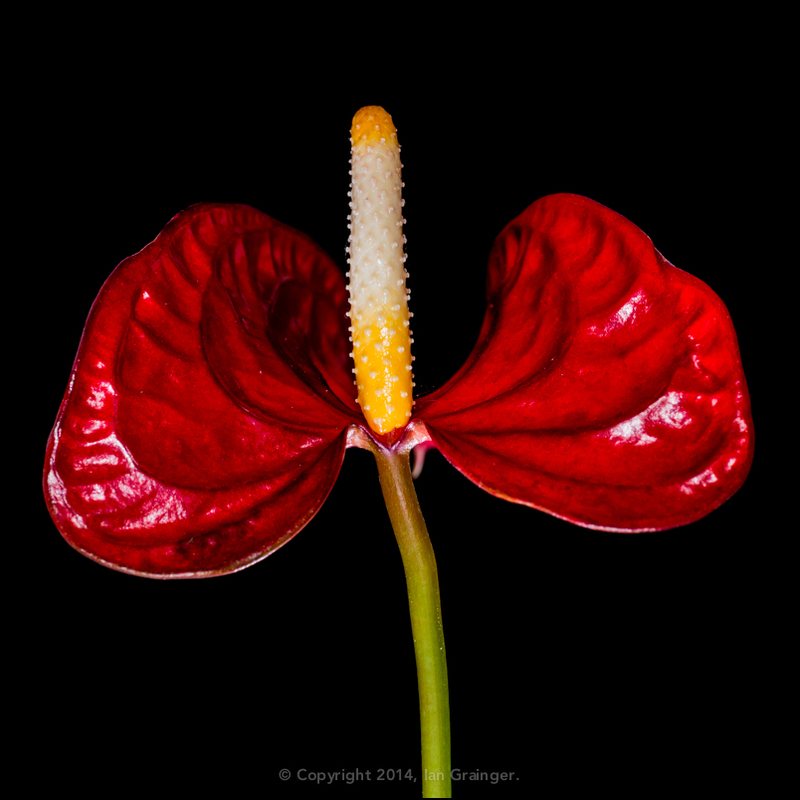 This remarkable looking flower is called an Anthurium, and this particular plant has been flowering non-stop since last Christmas. The house plant caught my eye at, of all places, a local supermarket and I thought the unusual looking flower would make a good subject for my 100x:2014 project. In fact the image I took for the project, seen below, was number 100, and was the shot that completed the project. I seriously can't believe that the plant is still producing flowers ten months after it was initially purchased. The after care instructions that accompany the plant actually recommend throwing the plant away when it stops flowering after a couple of months!